The Gibson brand is set to make a racing debut in 2015 as the firm launches a comprehensive upgrade to the existing Zytek chassis which will feature a host of improvements designed to keep the car at the front of the LMP2 grid. 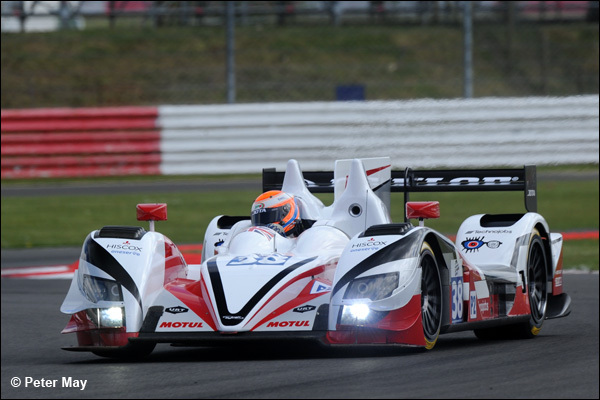 It is the latest development of the ultra competitive Zytek chassis, which won its class at Le Mans in 2014, and in 2011. Eight of the last 10 European Le Mans Series races have also seen the chassis take pole position. An intensive CFD programme has been undertaken to improve the aerodynamic efficiency, increasing downforce and reducing drag, of what was, hitherto, the Zytek Z11SN. Updates have also been included to ensure that the car complies with the latest ACO/FIA safety regulations, while further improvements have been made to its already impressive serviceability and reliability record. The numerous changes being homologated are possible within the cost cap rules since the car is now four years old. To date a total of 14 chassis have been built, and since 2011 have been powered by the highly successful Gibson developed Nissan VK45 engine. With the change in company name from Zytek Engineering to Gibson Technology, the opportunity has now arisen to rebrand the car. Gibson remains one of the leading manufacturers of racecar engines in the world and will be sole supplier to the prestigious Renault FR3.5 Series for the fourth consecutive season as well as, again, powering the whole Auto GP and FA1 grids, in addition to numerous LMP2 teams. Gibson’s announcement follows the upgrade to Oreca’s 03 at Le Mans this year and the confirmation to DSC by Jacques Nicolet at Interlagos that Onroak is to upgrade the Morgan open top LMP2 for 2015.